Kwaylon Rogers, also known as BlameItOnKway, speaking at ribbon cutting of his new restaurant in Houston on Nov. 18, 2018. 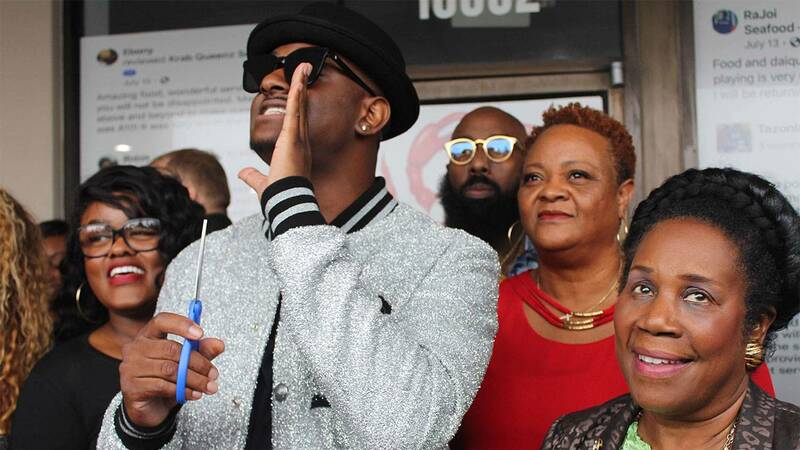 Despite the rain, hundreds of people attended the grand opening of award-winning actor and comedian Kwaylon Rogers', aka BlameItOnKway, new seafood restaurant in Houston. The restaurant, Krab Queenz Houston, opened its doors to the public at 1 p.m. at 10852 Westheimer Road. Rogers said his goal was to open a small business, create jobs and bring a taste of Louisiana Cajun cuisine in Houston. “Kway prioritizes his goal to leave a legacy in the very city that pushed his career by offering good jobs, good food, and good vibes utilizing the platform with which he's been blessed,” according to a press release. The restaurant also served as a drop off location for toys and goods that will be donated to Houston's annual toy drive and Trae tha Truth Relief Gang. 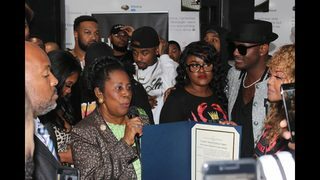 During the event, special guests like Houston hip-hop artist Trae tha Truth and U.S. Rep. Sheila Jackson Lee were among many others who celebrated the opening of Krab Queenz Houston. "It's a joy to have a new business come and have an emphasis on job creations but also emphasis on small businesses. This is a new owner who has brought a new change to Houston and a great deal of excitement and that's what Houston is all about," Lee said. She also presented Rogers with a certificate of congressional recognition and a proclamation for opening the restaurant in the city.